Designed for high volume production of heavy duty mixes such as fermented doughs. 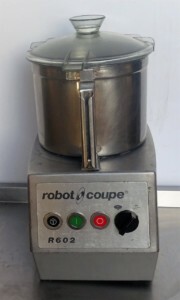 This mixer will give years of reliable service. It is complete with cranked bowl lift, timer, 3 speeds, Bowl, Whisk, Beater, Dough Hook and safety cut off switch. Ideal for a large production kitchen or bakery. 3 phase power supply required. 3 Phase 1.1 kW Power. Brand New!! 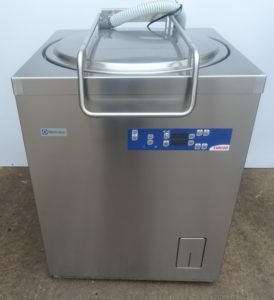 If you need to wash and spin dry a huge amount of salad leaves or vegetables, this machine is perfect.